Every parent desires to see their children flourish and become increasingly independent as they enter adulthood. But for moms and dads of children with disabilities, this hope can feel uncertain. For many years, Christ Presbyterian has offered a Sunday morning class for young adults with disabilities, providing great support to families on the weekend. Three years ago, however, a new opportunity arose that’s given the church an additional way to come alongside families with disabilities throughout the week. 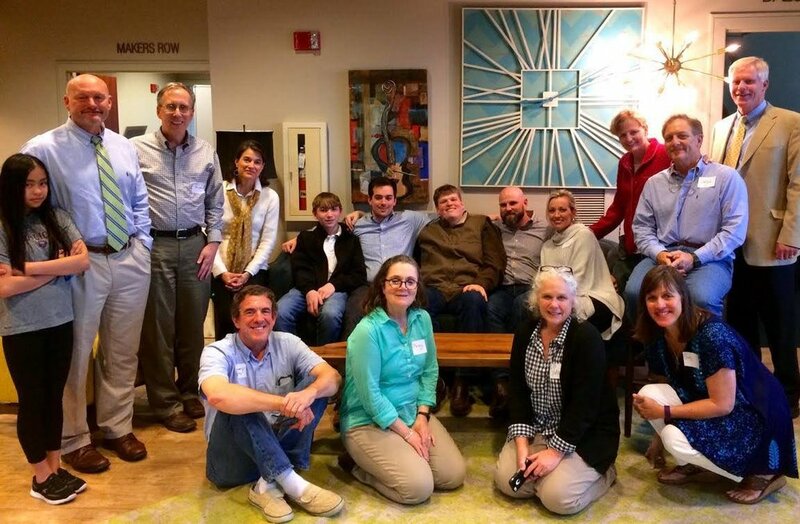 It began when faculty from nearby Vanderbilt University proposed a grant-based study in partnership with several area churches, including Christ Presbyterian, to discover the best way to find meaningful work for adults with disabilities. What started as a year-long study paved the way to the formation of the Christ Presbyterian missional community, Putting Faith to Work. Yoder was one of the group’s founding members and has seen it flourish as she and others have found ways to support families through finding both paid work and volunteer opportunities for young adults with disabilities who attend Christ Presbyterian. Throughout the last three years, the group has helped one young woman, Kate, find work in Vanderbilt’s housekeeping department. 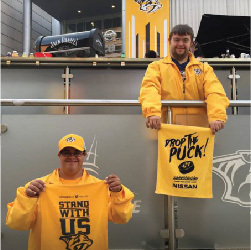 Another young adult, Clayton, began a position as a greeter at Nashville Predators hockey games. A woman named Katie received a job at a local pizza restaurant. And a young man named Nathan found work volunteering weekly at Christ Presbyterian, helping provide refreshments for church members Sunday mornings. Yoder says she’s seen each young adult blossom as they’ve learned to take on new responsibilities. She remembers how Katie bubbled over with excitement when she received her first paycheck. “She loves going shopping, so being able to purchase an outfit with her own money for the first time was thrilling,” Yoder says. For Katie and the others who’ve found meaningful work, the reality of a newfound purpose in their lives has resulted in a noticeable shift. Giving these young adults an increased sense of independence has also become a way to support their parents. For some moms and dads, the initial process of letting go is challenging (such as allowing their child to learn to navigate Uber in order to arrange for transportation to work). But once the young adults get the hang of it, their sense of freedom and accomplishment has brought pride to both parents and their children. It’s also begun making a difference among those in the community who’ve hired these young people. They’re also image bearers of Christ, Yoder adds--a truth that becomes evident as people both at church and in the workplace gain more opportunities to get to know and work alongside young adults with disabilities. © 2017 Christ Presbyterian Church. All Rights Reserved.